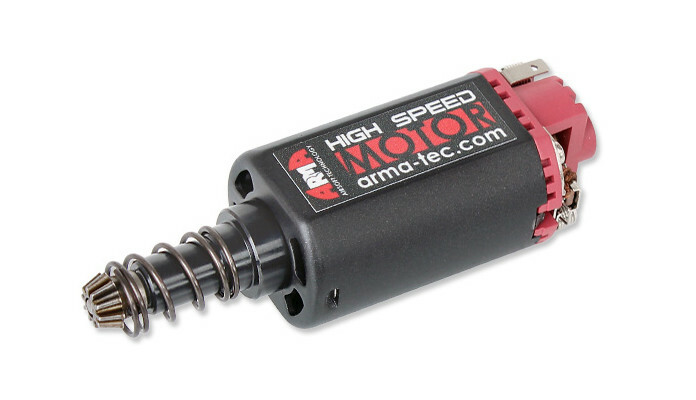 ArmaTEch High Speed Motor (Long). High quality, efficient motor with increased speed. 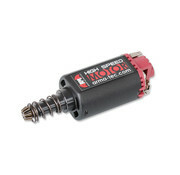 Recommended for replicas with higher rate of fire. Long version, designed for M4, M16, MP5, P90 and G3 series replicas.